Finally, the solution to that homely warmth that everyone is looking for in a private setting: SOUND for the home. The everyday space of your private life becomes your living area, which encapsulates all the essential elements of the home: relaxation, pleasure and personal wellbeing. 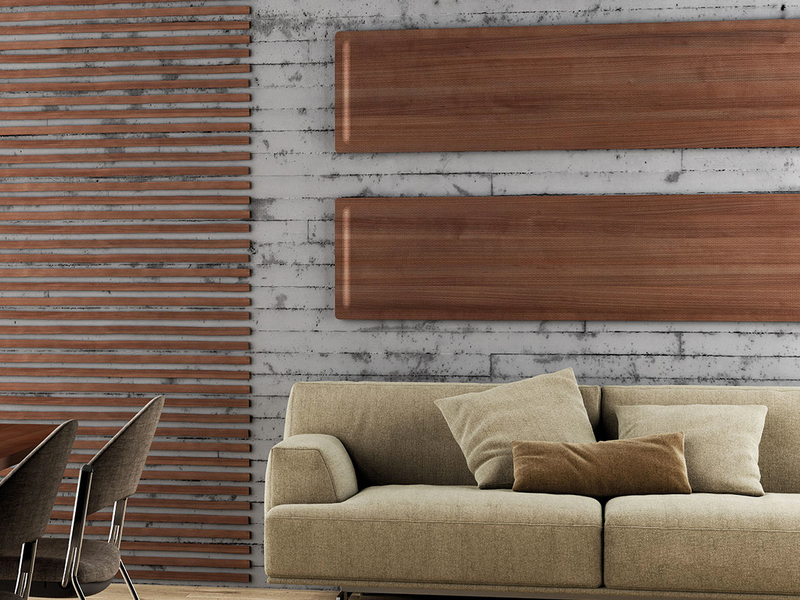 The elegant profile of SOUND acoustic panels is equally well-suited to any type of living arrangement, for acoustic wellbeing at home that you won’t want to live without. The appearance of the panels, designed specifically with an understated and elegant style, becomes the building block for various interior design solutions in view of a three-dimensional development of the space: decorative verticalisations and wall-mounted structures imagined as functional, stately wainscoting - just some of the intriguing solutions to making your house a home. Acoustic wellbeing means living a comfortable family life with the privacy that only your home can give you. The space of home becomes private, because it is the setting for your most intimate and personal habits, a space where you can listen to yourself and leave external noise outside, where it belongs. SOUND is designed to defend the four walls of home from intrusion by outside noise, where the pace of life is punctuated by a strong acoustic impact, but also from the hustle and bustle of home life, for an acoustic level that becomes familiar. The sound-absorbing panels were also designed for ease of maintenance: their three-dimensional characteristics and ease of installation make even daily cleaning a breeze - an important habit to have in the home - as well as allowing you to reconfigure them according to the layout of the furniture. SOUND becomes the ideal solution for the home, ensuring quick maintenance and constant care. The fixing of the panels is adjustable and suitable for any surface that can be drilled into. Once installation is complete, the fixing points remain hidden from view, leaving only the simple appearance of the panel, which becomes a stylish part of the décor.